Why have Dermalux TM LED phototherapy at our clinic? If your skin currently looks dull and tired, or you have visible skin problems such as rosacea, scarring, acne, eczema, or sun damage, then Dermalux TM LED phototherapy could be the ideal way to improve these issues and give your skin a youthful and healthy glow. This is a pain-free and relaxing treatment that offers excellent outcomes for all skin types and many skin conditions without any downtime. By the end of the treatment, your skin should look plump, radiant and hydrated. With DermaluxTM LED phototherapy, we use different LED lights to address different skin complaints. The LED Red Light is suitable for skin rejuvenation, anti-ageing and healing as it has a powerful anti-inflammatory effect on the skin. This is an ideal treatment if you suffer from a sensitive skin condition, such as rosacea, eczema or psoriasis. The LED Blue Light treatment may be your best solution if you have acne or congested skin. Blue light has powerful antibacterial properties that decongest and purify acne and problematic skin, and help to normalise oil production. Many people find this is a great alternative to medication. Finally, LED Combined Red and Blue Light is ideal for sensitive and problematic skin. By using both lights in combination, we can enhance the benefits of each light. This is clinically proven to be one of the most effective treatments for inflammatory acne and scarring currently available. What is DermaluxTM LED phototherapy? Dermalux™ LED phototherapy is a non-invasive skin rejuvenation treatment that uses the power of natural light to stimulate the skin’s cell renewal processes; in many ways, it is similar to photosynthesis in plants and very safe. LED phototherapy uses specific colour wavelengths of light – Red, Blue, and Red & Blue combined – to penetrate the skin at varying depths, energising your skin cells to produce new collagen and elastin, as well as improving blood and oxygen flow at the same time as releasing toxins. Everyone can benefit from light therapy, as it reverses the signs of ageing, clears acne and blemishes, and accelerates healing. It also helps damaged, injured or diseased skin cells return to optimum health. Studies have shown that when skin is exposed to LED light, skin cells regenerate themselves on average 150% to 200% faster and hydration can be increased by up to 600%. This whole process results in radiant, youthful and naturally healthy skin. What happens during a DermaluxTM LED phototherapy treatment? When you arrive for your DermaluxTM LED phototherapy treatment, we will gently cleanse your skin to remove all make-up and skincare products, including sunscreen. This allows the beneficial light waves to penetrate your skin. We will also exfoliate your skin to remove any dead skin cells that may reflect the light. 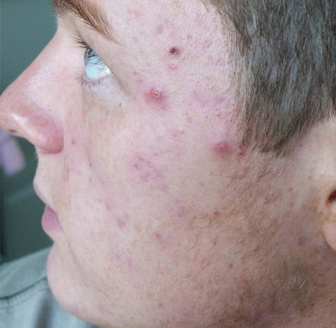 For enhanced results, a topical serum may be applied. Once your skin is prepared, we will give you special eyewear to wear throughout your treatment to protect your eyes from the bright LED lights. You will then lay back and relax while a special overhead panel directs light waves on to your skin, typically for 20 to 30 minutes. The treatment is completely pain-free and a great way to get some downtime while giving your skin a boost. How soon should I be able to see the results of my DermaluxTM LED phototherapy treatment? With light therapy the visible effects are immediate. After just one treatment, your skin should look incredibly hydrated, plump and radiant with any redness and irritation calmed. People tend to book a single appointment for when they need a skin ‘pick me up’ but may need several sessions for longer-lasting results as they are cumulative and will continue after the treatment has ended. Treatments taken in quick succession will achieve optimum results and maintenance treatments may also be recommended. 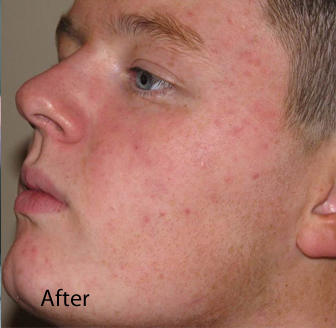 The results of Dermalux™ LED phototherapy can last for several months following a course of treatments. However, as with any skin treatment, maintenance sessions are advised to ensure lasting results. As light therapy does not harm the skin, there is no limit to the amount of treatments you can have. No. This treatment stands out because there is no risk of irritation, side effects or down time that may be associated with more invasive procedures. There have been no reported side effects in over 1,700 clinical studies and it does not harm the body in any way. LED light therapy is a heat-free treatment that does not contain harmful UV wavelengths and therefore cannot damage skin tissue or create photosensitivity. It is clinically proven to be safe for all skin types, including darker skins and the most sensitive skin conditions. No. You won’t need to take time off after your treatment. Generally speaking, there is nothing you should avoid after this treatment, although it should be followed by the application of suitable skincare products, including a sunscreen. Make-up can then be applied. We recommend the use of mineral make-up which will not block pores and allows the skin to breathe.